Home | PARTY SUPPLIES | DINOSAUR PARTY | Jurassic World Deluxe T-REX Exclusive Happy Birthday PHOTO Banner, 60"
Take pictures with your friends in the front of this Giant Tyrannosaurus rex and send them with Thank you cards. Your buddy paleontologists will love the King of Jurassic World Tyrannosaurus rex! 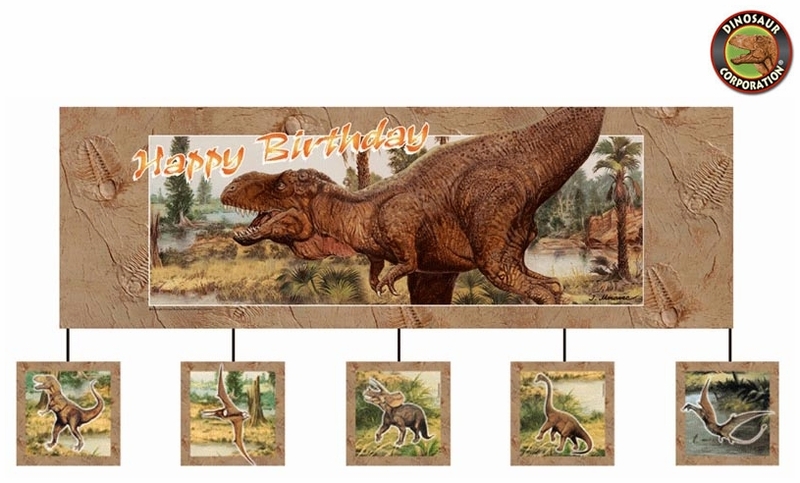 Jumbo T-REX Dinosaur Birthday Banner with 5 attachments is featuring the best known Jurassic World Dinosaurs. The best realistic dinosaur banner, designed for boys and girls loving everything prehistoric. A perfect match with the rest of our Dino Dig and Jurassic World Deluxe Tyrannosaurus rex Exclusive Party Supplies Tableware.